Clark Properties offers many real estate services that first time customers miss when they join our company. This part of our web site begins the educational process of “what we do and why”. As a client we will often send you to our site to read about how we manage, what services we provide, and how we can help you with a wide range of additional services. Here is a start. 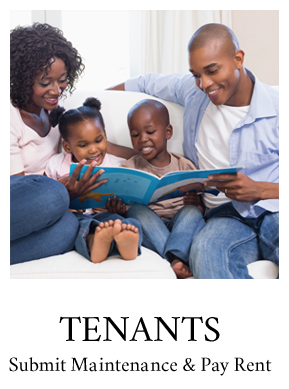 Receive your money sooner (direct deposit) and get it more conveniently (electronic owner statements) by signing up for our E-Pay System. Occasionally we need an owner advance to cover the cost of repairs, lawn care, utilities or other expenses on your property. We’ve made it simple for you to use your credit card and other forms of payment. Is it time to sell? We can help. We have been selling houses for investor clients for years. 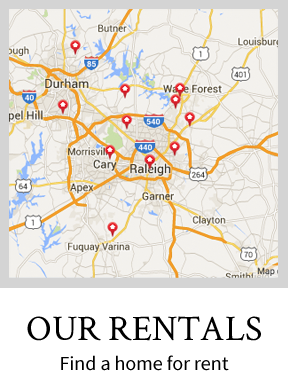 We are members of the Triangle multiple listing system. We are proficient at selling homes of all types whether it is a straight sale or something creative like lease purchase, wrap around mortgages, contract for deed, seller seconds, and other forms of owner financing. We can get the job done! Since we know the property already, we can get it on the market before the tenant moves out and get a head start on the marketing. The North Carolina Landlord Tenant Act and Tenant Security Deposit Act regulates how landlords deal with tenants and lays out some rules we must comply with in the management of your property. These rules specifically deal with things like what a landlord can withhold from a tenants security deposit. Owners have different needs and we want to help in any way we can. Click here to read some extra things we can do for you as a client. Occasionally a client needs to sell their property quickly, in days or weeks. We can help. We can help match you with an investor looking for a deal. We will represent you. Need help buying more houses? We have been helping investors buy houses for years. We offer services to our investor clients. To avoid sharing your profits with the IRS, we can pair you with an agent who is well versed and help you do a 1031 Tax Free Exchange. We are not in the mortgage business and do not earn fees on mortgage loans. We do understand the investor loan business and can help you make a good decision regarding this specialized market. We have strong connections with reliable North Carolina lenders who will give you good rates and great customer service. We have a software package that pulls area rental information from our multiple listing service. Because Clark Properties is a licensed real estate broker, managing trust funds for both the owner and the tenant, there is a detailed process to releasing a client that begins with our termination form.